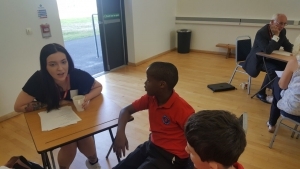 On the 28 June, Melland High School, a specialist SEN school in Manchester, welcomed Career Footsteps. Career Footsteps, a programme run in partnership with the Edge Foundation, aims to open students’ eyes to the wide range of routes they can take into the world of work with a focus on vocational and technical paths. Volunteers, who took a range of vocational routes into the world of work, were welcomed to Melland High School. Students from year 7 to 14 had the opportunity to ask them questions about their careers and the route they took to get there. 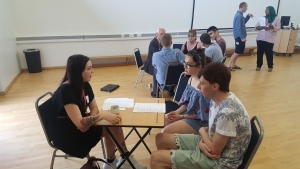 The day was a careers speed networking event, allowing students from multiple year groups to meet passionate local professionals who debunked the myths of vocational pathways. Volunteers came from a diverse range of professions. They showed students the range of vocational routes available into the world of work. The aim was to raise their aspirations by showing them the accessibility of a range of different jobs. 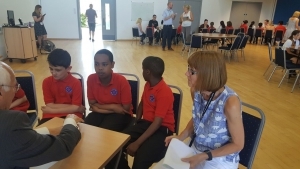 Interesting facts the students learnt included that you can wear glasses and be a pilot, and the work environment of Auto Trader included four cars and two vans. “Everything looks fantastic and the event is an excellent example of what our students should access. Enrichment is crucial in preparing our students for the real world. It is great to see a wide diverse range of volunteers speaking to our students”. You can find out more about the Career Footsteps programme here.